Obituary for Christian "Splash" Deon Roberts | Donald V. Borgwardt Funeral Home, P.A. Christian Deon Roberts was called home to be with the Lord on Monday, January 28, 2019. He was born on May 18, 1994 in Washington, D.C., and was the youngest child of Donald, Jr. and Wanda Roberts. Christian had two siblings, Marcus Roberts (brother) and Shayla Caldwell (sister). Christian spent the majority of his 24 years living in Silver Spring, Maryland. He attended Galway Elementary School in Silver Spring, MD, Montrose Christian Academy Middle School in Rockville, MD, Princeton Day Middle School in New Carrollton, MD and graduated from Paint Branch High School in Burtonsville, MD. After graduation from high school, Christian attended Stevenson University in Owings Mill, MD where he earned his Bachelors of Science degree in Business Administration in 2016. As a young child, Christian had a heart of love and compassion. He was a mild mannered, quiet child with a kind and gentle spirit. He was polite, respectful, and was always willing to help out any way he could. Christian not only loved God and loved going to church, but he also loved his family and friends. At a very early age, Christian quietly developed friendships with people from many different backgrounds. As he grew, he began to develop a heart for serving and loved working with children. When he was a teenager, Christian served as a teacher’s assistant in children’s ministry at his church, volunteered at the local high school to help teach children basketball skills, and worked at several children’s summer camps as a camp counselor and junior coach. In addition to his love for helping children, Christian enjoyed serving the community. He traveled to New Orleans with his church’s youth group to help rebuild homes after the Hurricane Katrina disaster, and volunteered distributing food at the local church food bank. Christian was mission minded. As an adult, he enjoyed volunteering his time and had a passion for those in need. Specifically, Christian organized several shoe drives to give shoes to the homeless community, collected clothing and distributed the clothes to local shelters, prepared and delivered food baskets to families in need, and collected toiletries to be sent on a mission trip to Africa. 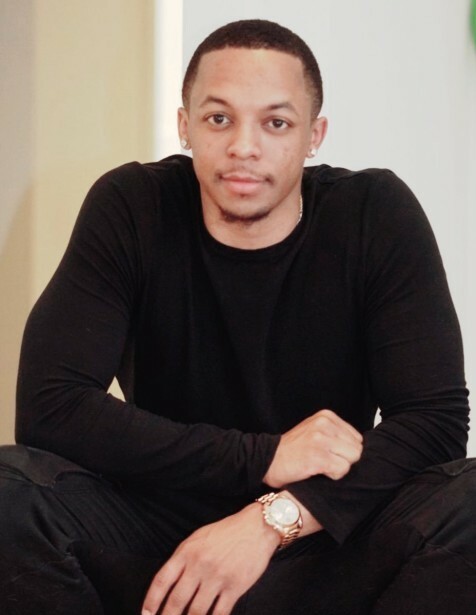 Christian also planned and implemented his own non-profit organization called “Mind & Body” which was designed to help young people learn how to train to develop their bodies mentally and physically to be successful in sports for free. Christian loved sports. As a young child, he played baseball, football, and soccer and eventually found his passion for basketball at around the age of 8. Throughout his life, he played on various basketball teams including neighborhood recreation leagues, middle school, high school, and college. Christian excelled at basketball at Paint Branch High School and was selected as Captain of the team, played in the Senior Showcase basketball game, was All-Tournament and MVP at the MocoHoco Challenge, and was nominated to play in the Montgomery County All-Star game. During his time at Stevenson University, Christian received many basketball accolades including being named Conference Player of the Week multiple times, was selected ECAC Division III South Rookie of the Year and MAC-Commonwealth Conference Rookie of the Year, named to the All Commonwealth Conference Second Team for multiple years, scored 1,000 points by his junior year, and twice led his team to back-to-back ECAC championships. Christian was also a member of the Student Advisory Council Committee for Athletics and also served as the Ambassador for potential student athletes. After graduation from Stevenson University, Christian played in several local adult basketball leagues, one of which he was the Team Captain. He also participated in the Pro-Am Classic in Canada and the Torneo Dudi Krainer Summer Jam in Italy. He also served as a basketball tournament assistant and then as a tournament organizer at weekend youth basketball tournaments. Christian also worked at LifeTime Fitness in Columbia, MD as a Member Services Associate and most recently worked at TekSystems as a Business Operations Associate in Hanover, MD. Christian quietly interacted with many people and he enjoyed serving them any way he could. Christian spent a lot of time playing with his six nieces and nephews whom he loved dearly and he was very supportive of his family and friends. Many people called Christian their best friend. Christian’s love for God and for people made a tremendous impact on everyone he encountered. Christian is deeply loved by his family and friends. He is survived by his parents, Donald, Jr. and Wanda Roberts; grandparents Donald and Irene Roberts, Barbara and Nathaniel Thomas; his siblings, Marcus (Markia) Roberts and Shayla (Rodney) Caldwell; nieces and nephews Marcus Roberts Jr, Mackenzie Roberts, Josiah Caldwell, Eli Caldwell, Nathaniel Caldwell, and Abigail Caldwell. He is also survived by many aunts, uncles, cousins, godparents, and a host of friends. In lieu of flowers, please bring a pair of tennis shoes to the service to donate to continue Christian's effort to help the homeless community in Baltimore.